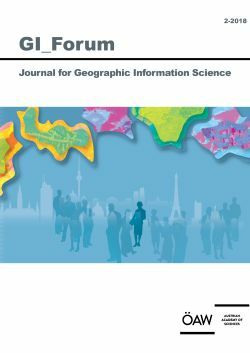 GI_Forum publishes high quality original research across the transdisciplinary field of Geographic Information Science (GIScience). The journal provides a platform for dialogue among GI-Scientists and educators, technologists and critical thinkers in an ongoing effort to advance the field and ultimately contribute to the creation of an informed GISociety. Submissions concentrate on innovation in education, science, methodology and technologies in the spatial domain and their role towards a more just, ethical and sustainable science and society. GI_Forum implements the policy of open access publication after a double-blind peer review process through a highly international team of seasoned scientists for quality assurance. Special emphasis is put on actively supporting young scientists through formative reviews of their submissions. Only English language contributions are published. Starting 2016, GI_Forum publishes two issues a Year. Historical dictionaries are colossal spatio-temporal artefacts comprising thousands of interrelated concepts and hosting a wide range of answers for cultural and/or historical inquiries. In our approach, the combination of thematic maps with network analysis and real-time textual querying of semantically-enriched lexicographical data serves as an entry point for the visual exploration of a large collection of records. Our tool aims to improve the comprehension of big data through visualization, thus helping the user to reach meaningful conclusions and acquire valuable insights into linguistic and other cultural issues in fast, easy ways.